Mike Stewart will be the guest tyer at the Catskill Fly Fishing Center & Museum on Saturday, Sept. 22, from 10 a.m. to 4 p.m. in the main museum building. He will be accompanied by tyer Leslie Wrixon. Mike started fishing in 1959 on the Canadian border in Vermont. He is a freshwater and saltwater fly tyer and fisherman who has had the opportunity to fish in many of the most beautiful places in and outside the U.S. Most of his fishing has been in New England, New York, Arkansas and Florida with outings to the Rocky Mountain states, New Brunswick, Nova Scotia, Alaska and Chile. Mike has been tying since 1982, when he taught himself to tie. 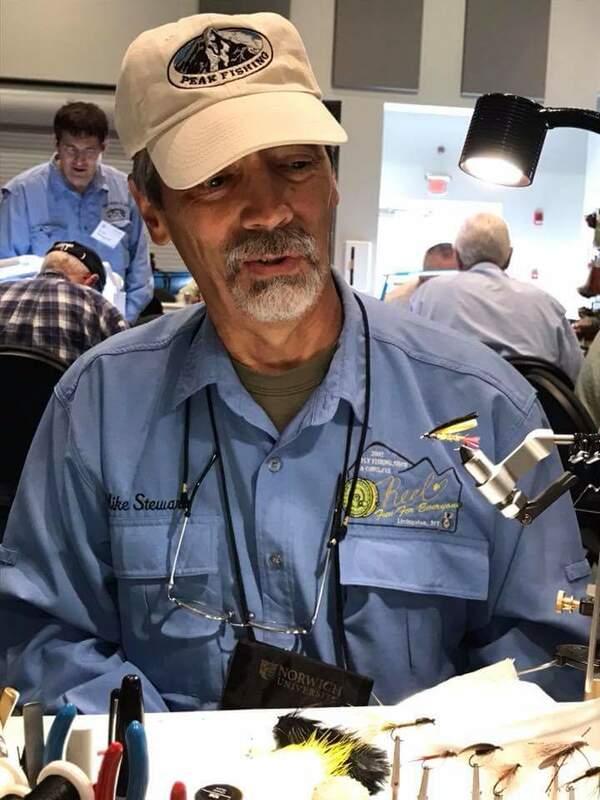 Through the opportunities made available by the Connecticut Fly Fisherman’s Association, he further refined his techniques such that he was confident to be a demonstration tyer, sell his flies, and ultimately teach fly tying, passing on the art to the next generation. Mike teaches fly tying out of his home in North Granby, Conn., and throughout New England and New York. He is also very active with the Fly Fishers International (life member) where he is a past member of the FFI Board of Directors and its treasurer, the Fly Tying Board of Governors (currently the secretary and life member), past president of the FFI Foundation Trustees and past president of the FFI North Eastern Council. Other organizations of which Mike is a member include the CFFA (life member), United Fly Tyers, Catskill Fly Tyers Guild, and Catskill Fly Fishing Center and Museum. Mike is on a few pro teams, such as PEAK Fishing, and Flymen Fishing Company. While he ties all types of flies, he especially enjoys classic wet flies.